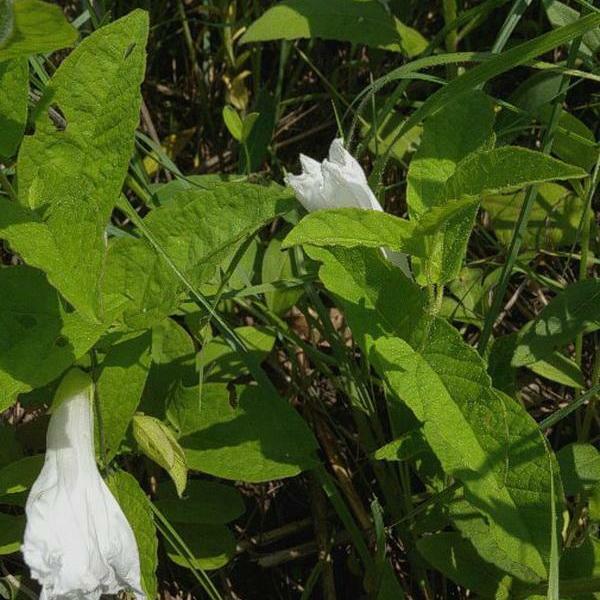 Description: This perennial plant is a herbaceous vine that produces stems 2-4' long. The stems are usually glabrous, but are sometimes hairy where new growth occurs. 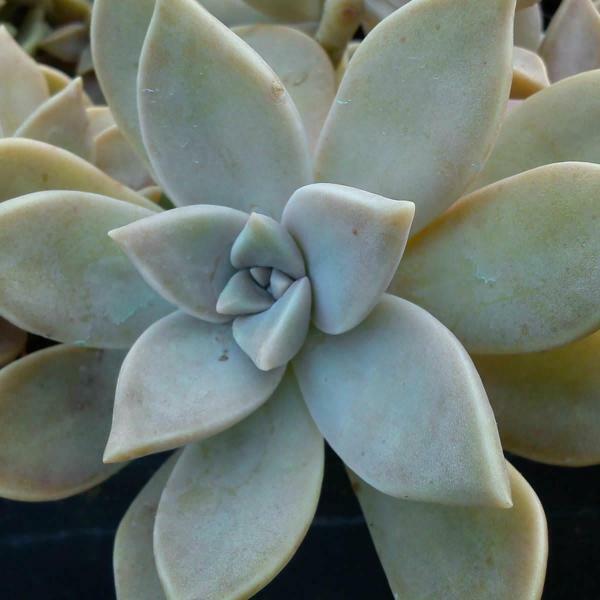 The alternate leaves are 1-2' long and half as much across. They are often sagittate (arrowhead-shaped), but are variable and can assume other forms as well. Their margins are smooth and occasionally slightly ciliate. 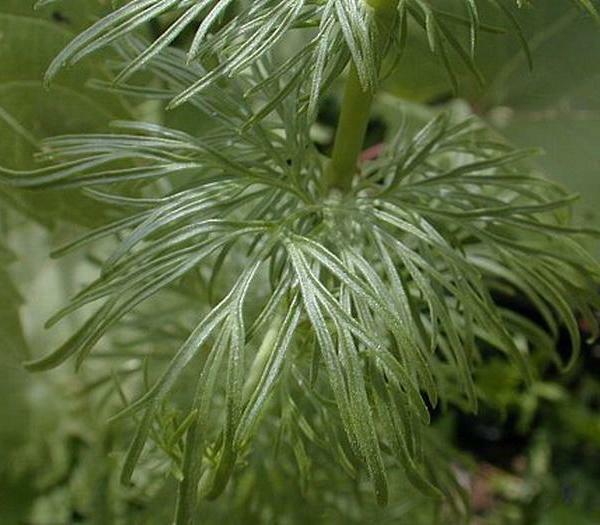 Long slender petioles connect the leaves with the stems. 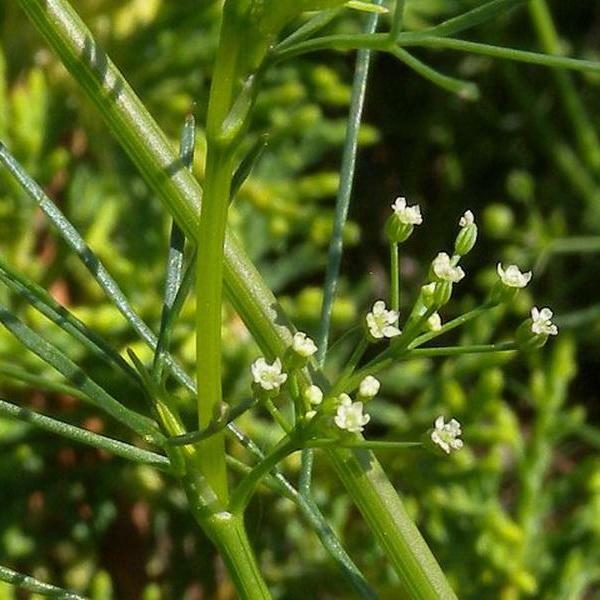 A slender flowering stalk may develop from the base of a petiole. This stalk occasionally branches and can produce 1-3 flowers. 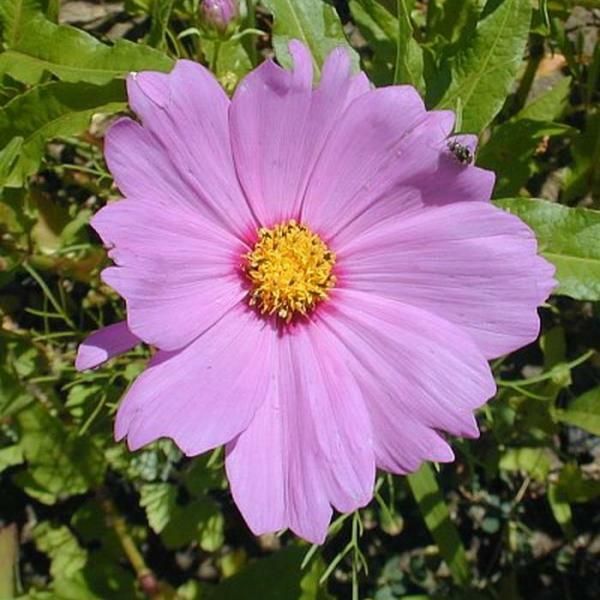 The corolla of a flower is funnelform in shape and up to 1" across; it is usually white, sometimes with light pink patterns. The 5 lobes of the corolla are very shallow and barely perceptible. 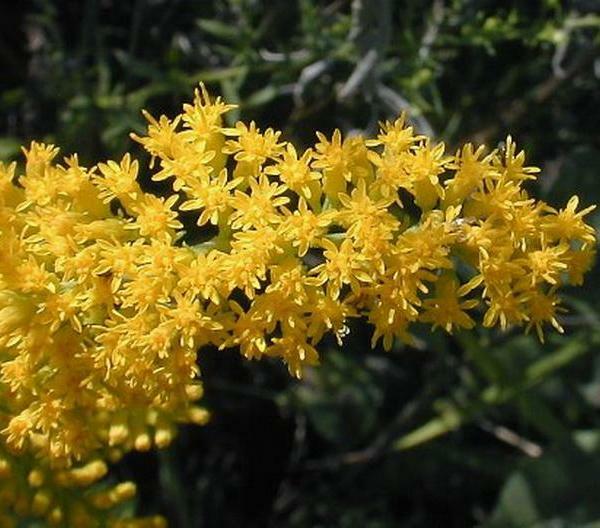 Toward the throat of the corolla is a patch of yellow and the reproductive parts, consisting of 5 stamens and a pistil with a divided style. 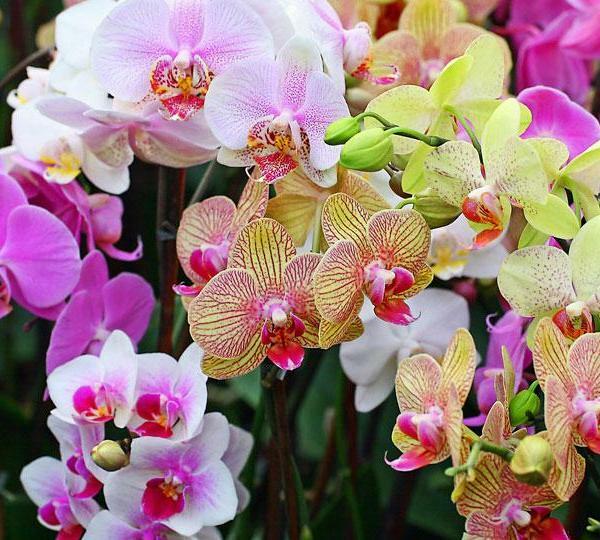 These reproductive parts are usually white, although the anthers may be pink or light purple in flowers with pink corollas. 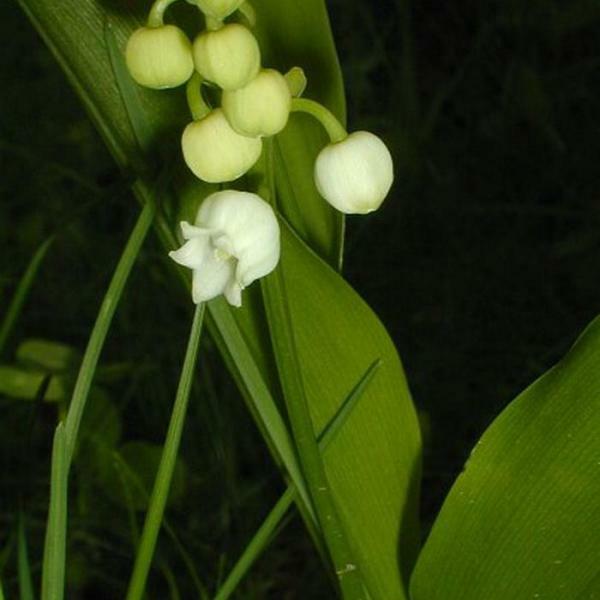 At the base of the flower, there are 5 green sepals that are much smaller than the corolla. 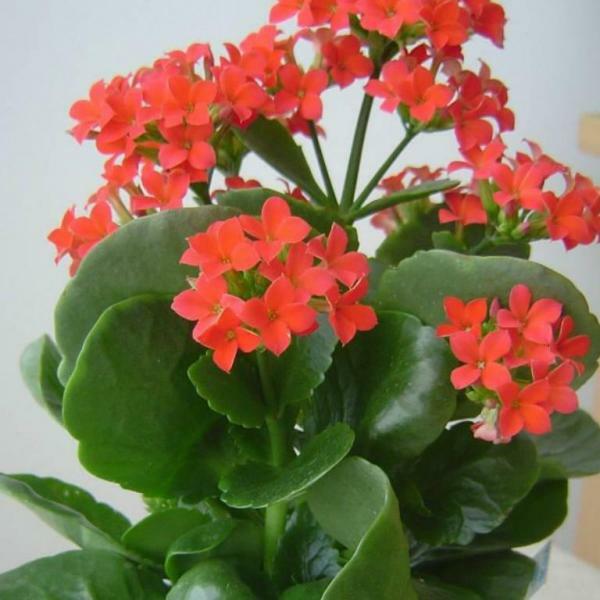 Up to 1" below the base of a flower, there are a pair of small green bracts on the flowering stalk. 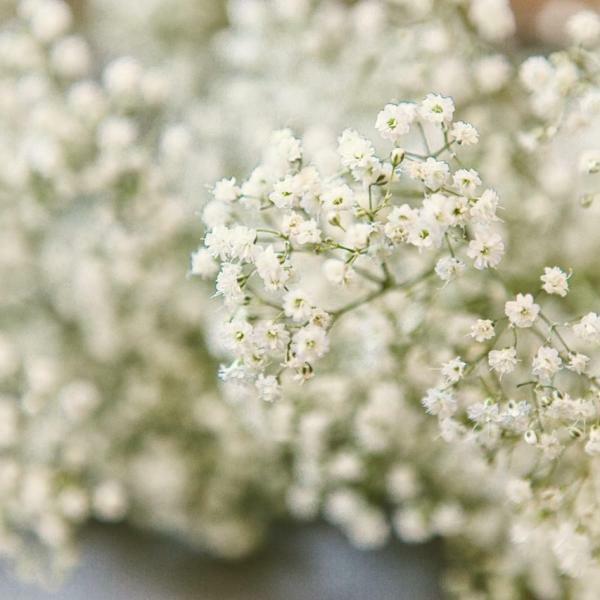 The blooming period can occur from late spring to early fall, and can span several months, even though individual flowers persist for only a single day, usually opening during the morning and closing by late afternoon. 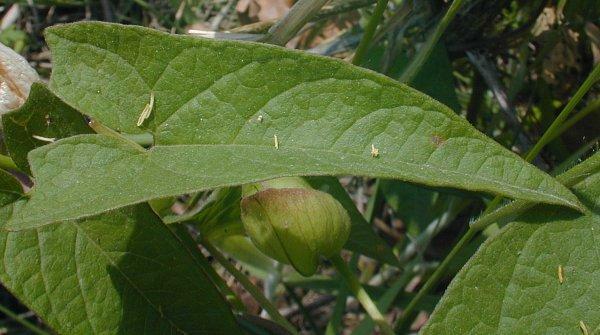 A hairless and well-rounded seed capsule about ¼" long replaces each flower; each 2-celled capsule contains 4 seeds. These dark seeds are 3-angled and oblong, but tapering somewhat at the ends. Each seed usually has 2 flat sides and 1 convex side; it is about 1/8" long. The root system consists of a slender taproot that branches frequently; it can extend 20' into the ground. Rhizomes are also produced in abundance, so that this plant often forms vegetative colonies. 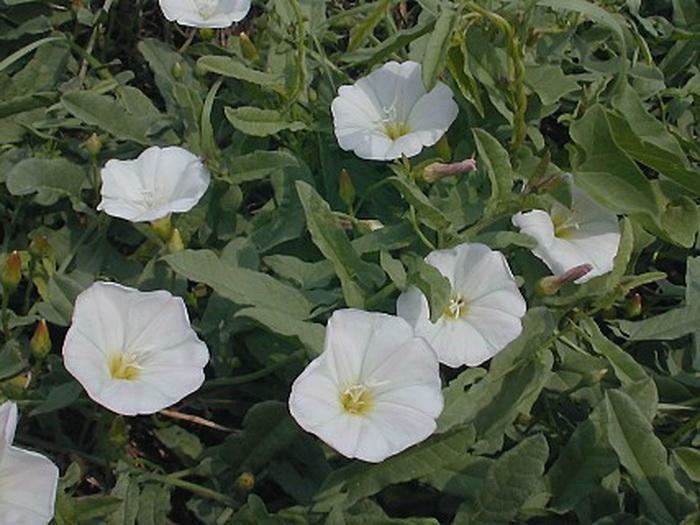 Cultivation: Field Bindweed prefers full sunlight and mesic to dry conditions. 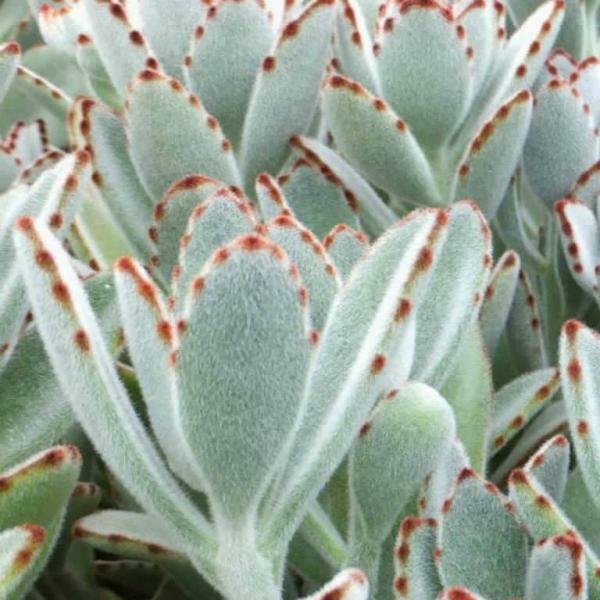 It has considerable drought tolerance, and flourishes in poor soil that contains sand, gravel, or hardpan clay. 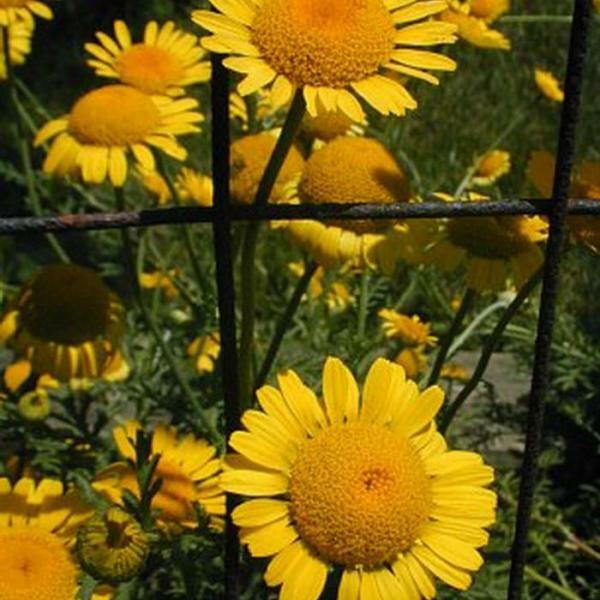 It will also grow in moist fertile soil, but dislikes competition from taller plants. Eradication of this plant is difficult, as mechanical cultivation often spreads the rhizomes around, producing new plants. Because of the deep root system, it has been known to survive bulldozer operations. It can also persist in lawns, notwithstanding regular lawn-mowing. The application of broadleaf herbicides can be an effective control measure, if it is repeated as needed. 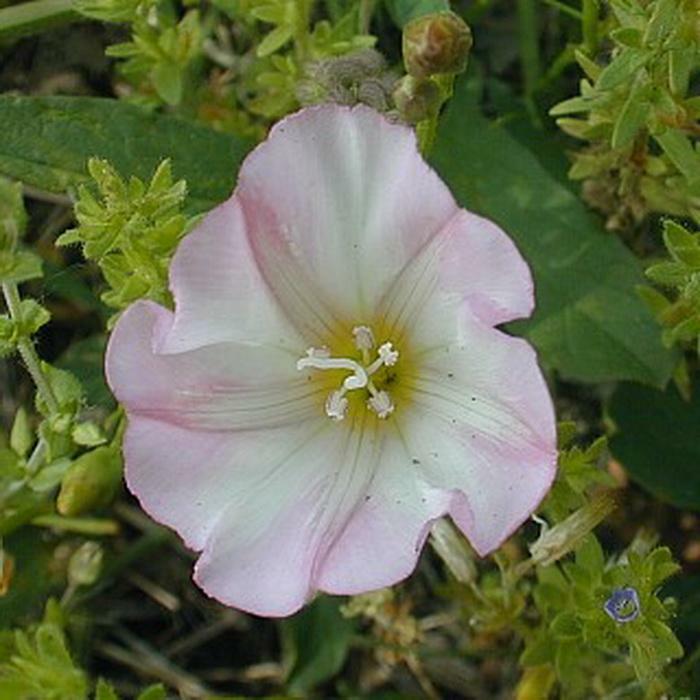 Range & Habitat: Field Bindweed is a common plant that has been reported from most counties in Illinois (see Distribution Map); it is native to Eurasia. 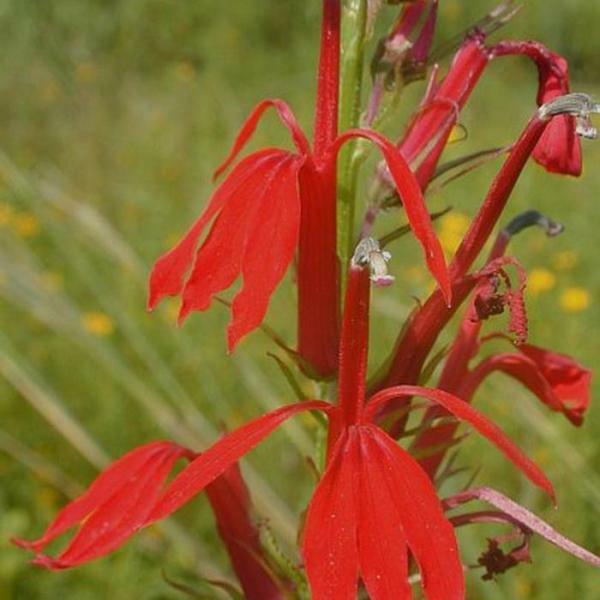 This plant continues to spread and probably occurs in every county of the state. 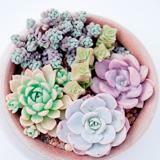 Habitats include lawns, gardens, fields, clay banks, areas along roadsides and railroads (including ballast), vacant lots, and miscellaneous waste areas. 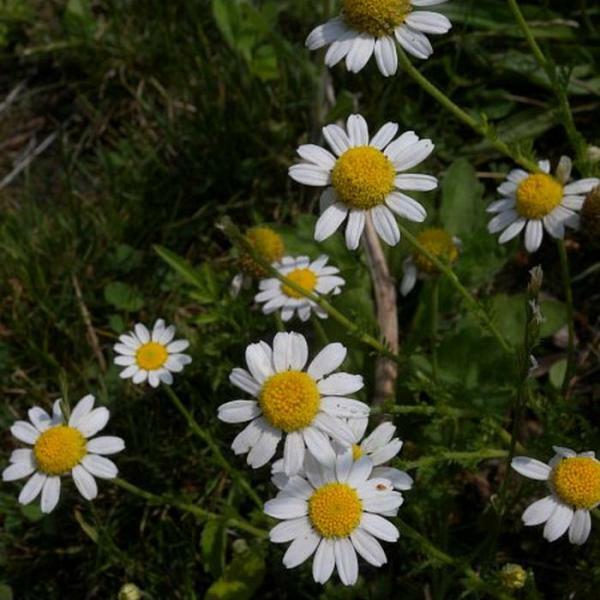 This plant occurs primarily in disturbed areas. Faunal Associations: Mostly long-tongued bees visit the flowers for nectar, including bumblebees and little carpenter bees (Ceratina spp.). In addition, specialist bees that are attracted to funnelform flowers also visit the flowers for nectar, including Melitoma taurea (Mallow Bee) and Cemolobus ipomoeae (Morning Glory Bee). The adults and larvae of several tortoise beetles are known to feed destructively on the foliage of Field Bindweed, including Charidotella sexpunctata (Golden Tortoise Beetle), Chelymorpha cassidea (Argus Tortoise Beetle), Deloyala guttata (Mottled Tortoise Beetle), and Jonthonota nigripes (Black-legged Tortoise Beetle). Other beetles that feed on this plant include Chaetocnema confinis (Sweet Potato Flea Beetle) and Typophorus nigritus (Sweet Potato Leaf Beetle); see Clark et al. (2004). The larvae of a sawfly, Sphacophilus cellularis, feed on the leaves of bindweeds (Convolvulus spp. ), as do the larvae of several moths, including Bedellia somnulentella (Morning Glory Leafminer), Spragueia leo (Common Spragueia), Emmelina monodactyla (Morning Glory Plume Moth), and Agrius cingulatus (Pink-spotted Hawk Moth); see Smith (2006), Cranshaw (2004), Covell (1984/2005), and Wagner (2005). 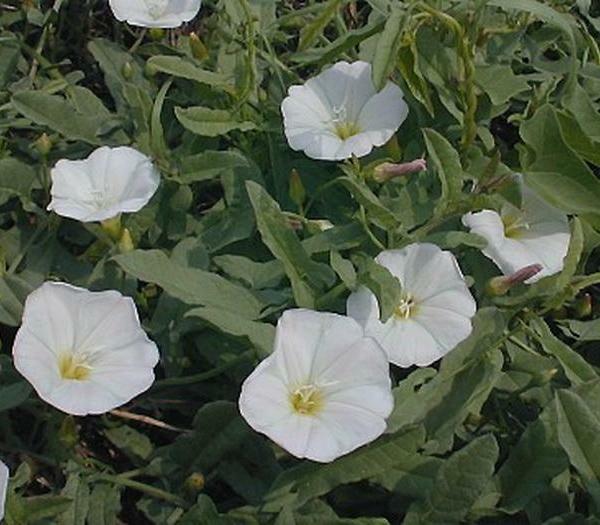 Field Bindweed is not a preferred food source for mammalian herbivores because the foliage is mildly toxic. Furthermore, there have been reports of the rootstocks poisoning swine. Photographic Location: Along a railroad in Urbana, Illinois. 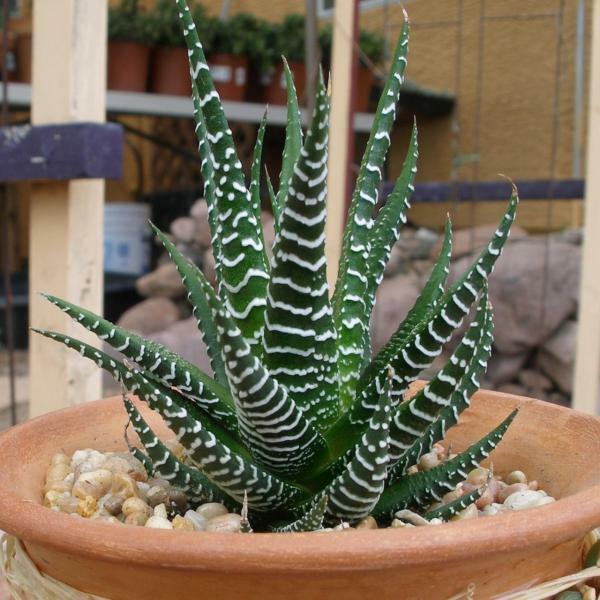 This plant is very common in the area. 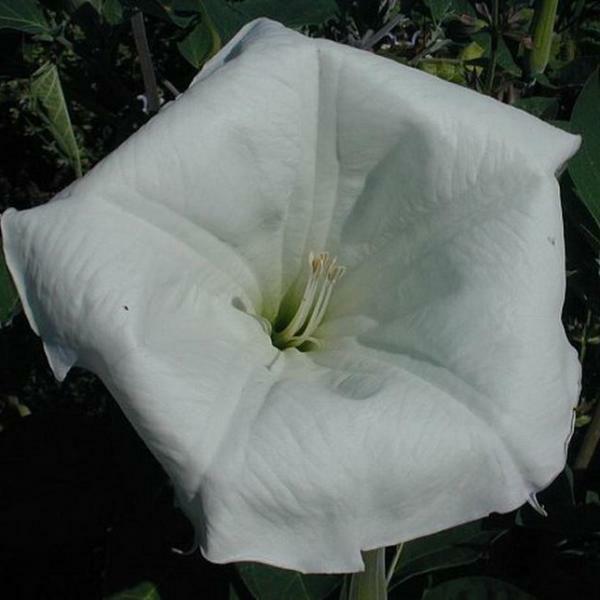 Comments: Field Bindweed is an attractive plant while it is in flower, but it can be very aggressive and persistent. The flowers are smaller in size than Calystegia sepium (Hedge Bindweed) and Ipomoea pandurata (Wild Sweet Potato). 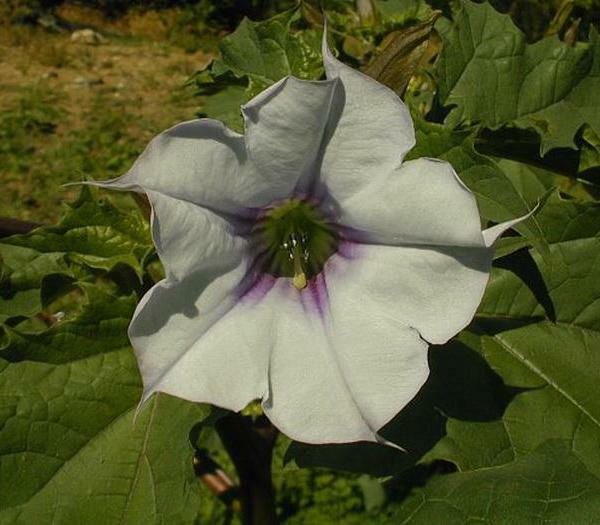 Its leaves are sagittate, while the leaves of Ipomoea pandurata (Wild Sweet Potato) and Ipomoea lacunosa (Small White Morning Glory) are cordate.